The Golden Age (1974-1983). The age of "gonzo pulp fantasy", or escapist adventures whose protagonists are often morally ambiguous. The chief influences are Robert Howard's Conan, Fritz Leiber's Fafhrd & Grey Mouser, Jack Vance, and Fletcher Pratt. The dungeon is the focus of adventure design, and the sandbox is the assumed role for a campaign setting. Larger narrative frameworks are left to the DM, and players essentially create their own stories through spontaneity. The Silver Age (1984-1989). The age of transition "that marries a sophisticated interpretation of Gygaxian naturalism with a growing concern for dramatic coherence; the construction of believable worlds and stories is its great concern; it's also the age where the Great Wyrm begins to eat its own tail." The chief influence here is Tracy and Laura Hickman's Dragonlance novels. The dungeon starts to get sidelined in favor of the pre-packaged narrative with pre-determined outcomes. The Bronze Age (1990-1995). The age of the boxed campaign set, "characterized by world consumption. This age encompasses not only of the apotheosis of the gaming novel but also when such novels become the primary drivers of product development." In other words, the evils of the Silver Age have completely taken over. The Dark Age (1996-1999). The age of decline and fall. "D&D products during this era vacillate wildly between recapitulations of works from earlier eras and bold, if often eccentric, experimentation intended to find an elixir vitae that might sustain the slowly dying beast for a few more years." TSR dies, and the company is purchased by WotC. The Gilded Age (2000-2002). The age of revamping. D&D is relaunched by WotC in its 3rd edition, harking back to old school D&D in many ways, rekindling interests in the game for those who had given up on it. The Present (2003+). An ambiguous period. The release of the 3.5 edition in 2003 and 4.0 in 2008 introduces changes that leave many old-schoolers disappointed, though the game remains popular. To put this in personal context, I was an avid D&D player between the years of 1981-1987, during the Golden and Silver Ages, and have played occasionally since then. The last game I ran was in 2005. 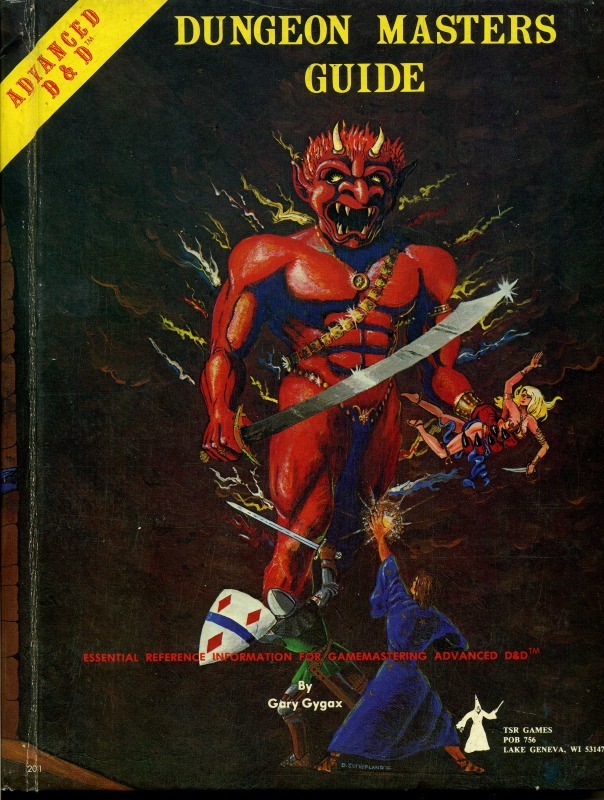 Like Maliszewski, I look back to the late '70s and early '80s as the unquestionable high point of D&D's existence. When my friend and I began playing in '81, we acquired all the terrific modules now hailed as classics, and took turns being the DM and shafting each other's characters in scenarios like The Keep on the Borderlands, The Isle of Dread, White Plume Mountain, Expedition to the Barrier Peaks, and the ridiculously unfair Tomb of Horrors. 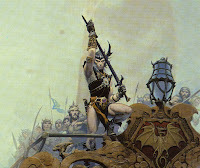 With the advent of the Silver Age, however, adventures began following the Dragonlance model, with the result that it didn't really feel like D&D anymore so much as acting out novels with morally pre-determined scripts. But then a curious thing happened. 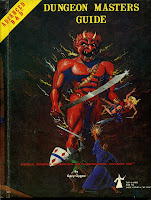 Just as the Dragonlance craze was picking up, and I was sensing (without really understanding) that D&D was evolving into a rather different beast, a different role-playing game was taking wing outside the context of TSR's Dungeons and Dragons. This was ICE's Middle-Earth Role Playing System, which included numerous gaming accessories of Tolkien's world published throughout the period of 1982-1999. As that time period ran almost exactly parallel to the Silver, Bronze, and Dark Ages of D&D, ICE provided me and my friend with a wonderful escape route -- though I doubt we saw it exactly in those terms. We just loved The Lord of the Rings (even more than the pulp fantasy novels of Leiber and Howard) and couldn't wait to apply D&D to Middle-Earth; and once we got there, we pretty much stayed there. MERP was, after all, like most gaming systems, compatible enough with D&D; it just took a bit of preparation to work out the conversions. The end result was a bit schizophrenic, in that we continued playing pulp fantasy within an over-arching context of high fantasy. It was often claimed in these days that Tolkien's world was inherently incompatible with the cultural and mythological backdrop of D&D, and the point must be acknowledged to an extent. And of course Gary Gygax (shame on him) despised Lord of the Rings, and only used creatures like orcs and halflings in D&D to capitalize on pop culture. Aside from a few Middle-Earth trappings, D&D is truly steeped in the morally ambiguous pulp fantasy worlds of Conan and Fafhrd & the Grey Mouser. But with enough imagination you can make anything work, and somehow our pockets of pulp in Tolkien's highbrow myth never seemed contradictory. Just the opposite: they breathed gritty life into a world that was a bit too "pure" for gaming. And the historical backgrounds developed in these campaign modules were truly amazing. There were endless opportunities for adventure in almost any time of the Third Age, and of course you never played out the pre-determined stories of The Hobbit and Lord of the Rings themselves. The next series of blogposts will be homages to both: a look at my favorite D&D modules put out by TSR, and then lengthier retrospectives of the Middle-Earth modules published by ICE. I never had any problems situating the former within the latter, though I've no doubt that poor Tolkien would be horrified at the way my friend and I bastardized his world with pulpy "amoral" adventuring.